Today, September 28, is National Poetry Day. I urge you to read a little poetry, perhaps pick up a collection or two. I believed that I hated poetry when I was in Junior High and High School, but that was because I seldom found any that really engaged my imagination. These days I spend a little time every week reading poetry. I find it enhances my life. Most of what I read would be called "speculative poetry," which generally means that it involves concepts and ideas from literary fields such as science fiction, fantasy, and horror. However, my personal favorite poet is Dylan Thomas, who I've mentioned on this blog many times before. While not specifically "speculative," Thomas's poetry has a certain surreal element to it that I find very lovely and thought provoking. If you'd like to know what I recommend in the field of poetry, here is a link to my poetry shelf on Goodreads. You can see what I've read and how I rated it. Although I don't consider myself much of a poet, I do try my hand at the form on occasion. Here's one of mine, the only one I've ever written about my writing "muse." It was originally published in The Pedestal Magazine. Gaunt, the gray wolf has grown. to match the growl in her throat. and did not warm her. Heat drove the hunted to ground. she came weak to my fire. and she became my muse. With strength returned, she hunted. Now on occasion she visits. We judge each other warily. Or one will kill the other. My first introduction to Robert Frost came in high school, specifically “The Road Not Taken” and “Stopping by Woods on a Snowy Evening.” These are his two most famous poems and probably most people have some familiarity with them. I like them and both spoke to me. I wouldn’t say they inspired me or influenced my own poetry, which developed much later. In high school I was still convinced that I didn’t like poetry. I came to understand later that I didn’t like poetry with facile rhymes or that simply pointed out an observation, thought or feeling that I already knew well from my own experience. It wasn’t until I discovered Dylan Thomas in college that I began to see the possibility for poetry to transcend and expand personal experiences. Because Frost’s poetry spoke of what I would describe as mundane reality, I just never pursued his work further. I don’t mean mundane in a negative sense here. I mean it essentially as “objective” reality. But that’s not what I want to experience in the literary works that I read. I live mundane reality. I want the poetry I read to twist that reality and surprise me. 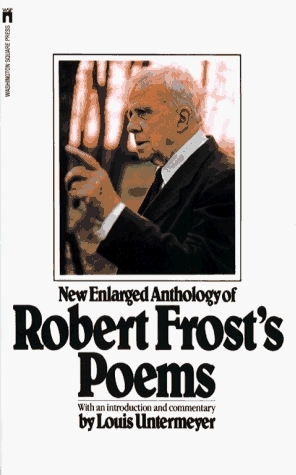 Knowing of Frost’s influence on the field of poetry, however, I did pick up this collection of his poems. I decided I needed to read them. Here are my thoughts. First, I can certainly agree with the critics that Frost was a superbly talented poet and a keen observer of the world. His poems are typically quite simple in construction, with straightforward rhyming patterns. When they impact me, they tend to evoke quiet and contemplative moods. And now I’ll say, and hope that I won’t be misunderstood, that quiet and contemplative is not what I want from my poetry. I want disturbing. I want rawness. I want the surreal. Frost does not give me these experiences and for that reason he’ll never be as important to me as someone like Dylan Thomas. I really hope people do not take this as some kind of “dislike” of Frost, or that I’m saying he’s not a poet worthy of study and consideration. I don’t mean it that way. I’m talking about my own very personal and visceral (or lack of that) reaction to his work. Perhaps the best way I can say it is this: I have a bookshelf where I keep copies of works that inspire my own writing, or that have in some way shaped my philosophy on life. Dylan Thomas’s poetry is on that shelf. 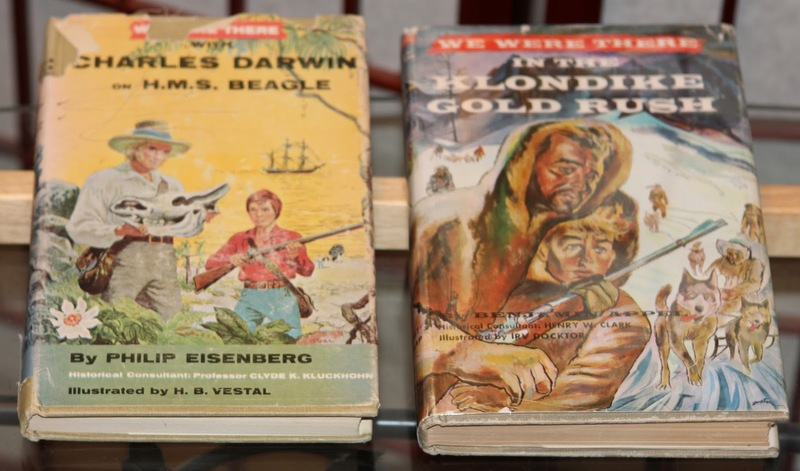 Some of Ray Bradbury’s is on that shelf. Robert Frost will not be on that shelf, though he may well be on “your” inspirational shelf. And if that is the case then I salute you. Moving from my general response to Frost’s work to this specific collection, I’m not sure I’d recommend it. The poems are well presented, of course, and I generally liked the overall organization of the book. However, I just did not care for, or find useful, the commentary by Louis Untermeyer. Untermeyer was a well respected poet and critic, but I found his comments about Frost’s poetry to be long on hyperbole and low on information. Here’s an example, from page 168. This is a good example, to me, of saying nothing while seeming to say much. I would much rather have had information about when and where the poetry was written, and information about any historical connections that the poem may have had. I bought this collection, in part, because I felt I needed some commentary to help me experience Frost. I think now that this was a mistake and I should have come to the poems without any filter. To those of you who are interested in writing poetry and want to study Frost for that reason, I’d suggest a collection with no commentary. For those of you who are making a more literary study of Frost, this collection might be useful but I don’t think it would be a good starting point. Something that places Frost’s work better into the context of his times would likely prove more useful. Summer of MoonlightSecrets: By Danette Haworth, 2010, Walker and Company, 273 pages. Allie Joe and her family manage the Meriwether Hotel in Florida. It was once a grand place frequented by movie stars, but it has seen better days. Some of the upper floors are closed. There are places where the windows are broken out and stray cats and kudzu slip in. But for Allie it is the perfect place, full of secret passages and hidden nooks and crannies. Allie Jo is intelligent and imaginative, but she doesn’t have a lot of friends. This summer will change that. Chase arrives with his father, a writer, to stay at the hotel for a while during the summer. He breaks his arm in a skateboarding accident the first time he meets Allie Jo, but the two strike up a friendship. Soon, they meet a mysterious young woman named Tara, who says that she is a runaway and has nowhere else to go than the hotel. She reveals that she’s hiding from someone who wants to control her. Allie Jo and Chase are caught up in solving the mystery of Tara, and in helping her defeat the plans of the man she’s hiding from so she can return home. 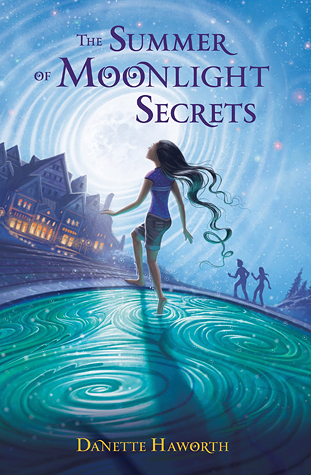 The Summer of Moonlight Secrets seems perfect for anyone who enjoys young adult stories. Its target audience is kids but it certainly held the attention of this 58-year-old, and took me back to my childhood when summers were magical and lasted forever. The book is fast paced. It’s told in short, alternating chapters from Allie Jo and Chase’s points of view, with an occasional chapter seen from Tara’s perspective. I thought it was a lot of fun. I’ve already read a previous book by Danette Haworth, Violet Raines almost got struck by Lightning, and I enjoyed it very much as well. I’ll be picking up others by this author so I can take an occasional trip back to my younger self. Sometimes folks seem to think I lead an exciting life. Well, I do. But not in the way they think. I live most of my exciting adventures through books. And I always have. 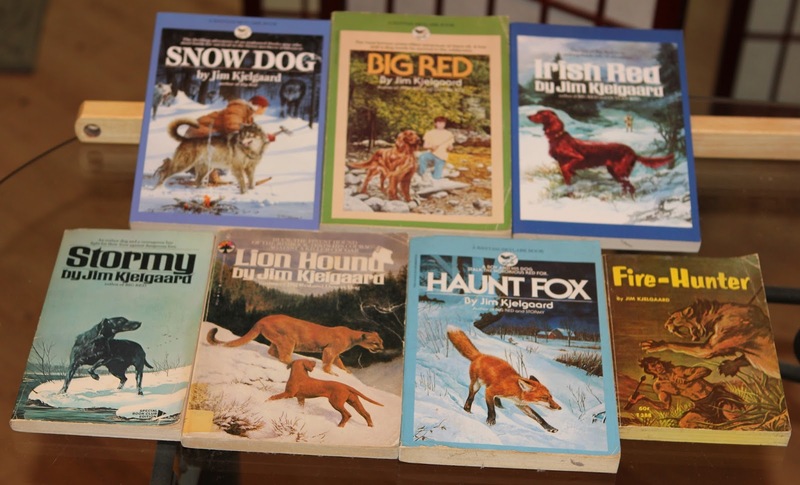 I became addicted to reading very early and have never broken the habit. I typically three 2 to 3 books at a time, of varying types. 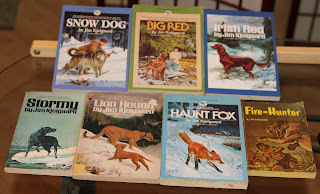 I'm reading a pulp western, a collection of Robert Frost's poetry, and a children's book right now. I loved novels but I also enjoyed reading of real life adventure and non fiction. 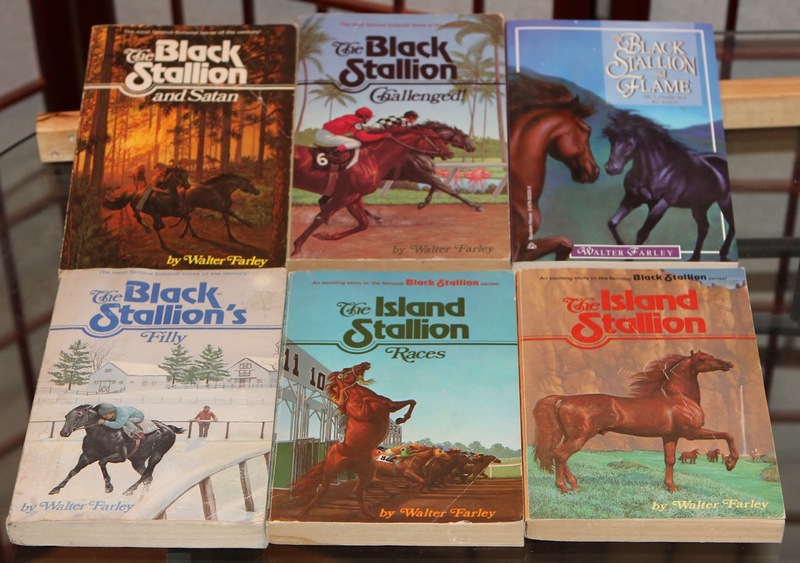 A favorite series for me were the "You Were There" adventures. Here's two that I remember fondly. Soon, I began to branch out to westerns, science fiction, and fantasy. But that's for another post.